Li Xianting is a renowned independent art critic and curator of contemporary Chinese art, sometimes he is referred to as the “Godfather of Chinese contemporary avant-garde art”. He has discovered and promoted many artists such as Fang Lijun, Yue Minjun, Zhang Xiaogang and Wang Guangxi whom all became leading figures in Chinese avant-garde art movement. Born in Jilin Province in 1949, Li Xianting is a renowned independent art critic and curator of contemporary Chinese art, sometimes he is referred to as the “Godfather of Chinese contemporary avant-garde art”. Graduated from Chinese Painting Department, Central Academy of Fine Art in 1978, he became the editor of Fine Art Magzine until 1983. From 1985 to 1989 he was the editor of the authoritative China Fine Art Newspaper, and was active as independent critic and curator based in Beijing henceforth. In the late seventies and eighties, Li Xianting was a major force in advocating and introducing the burgeoning avant-garde art in China, which just embarked on economic reformation. He organized the pivotal “Stars exhibition” in 1979, and coined the terms “Cynical Realism” and “Political Pop”, which later became the dominant schools of Chinese avant-garde art. Into the 1990s, Li Xianting continued to organize major avant-garde art events both inside and outside of China, while settling in Song Zhuang, a small village near Beijing, which hence transformed into the largest artist “colony” in China later. Many artists he discovered and promoted, such as Fang Lijun, Yue Minjun, Zhang Xiaogang and Wang Guangyi, have gained international attention and fame, thus become leading figures in Chinese avant-garde art movement. Undoubtedly, Li’s strong academic background and his wide connections in both the East and the West art communities are the cornerstone of Song Zhuang. Also, Li Xianting is responsible for coining the names of the art currents Political Pop and Cynical Realism. In 1993, together with Chang Tsong-zung, he has curated the exhibition ‘China New Art Post ‘89’ in Hong Kong (see China’s New Art, Post-89 (Hong Kong, 1993) and China Avant-Garde (Berlin, 1993)) and helped organize the first large-scale participation of Chinese artists at the Venice Biennale in the same year. Since the second half of the 1990s, Li has planned several important exhibitions in his attempt to scrutinize and interpret the incessantly emerging new artistic trends produced by the tumultuous transformations in China. These exhibitions include: ‘Model from the Masses’ and ‘Gaudy Life’, with Liao Wen, at the Beijing Art Museum and Wan Fung Art Gallery in Beijing (1996); ‘Oh La La Kitsch’, also with Liao Wen, at the Teda Contemporary Art Museum in Tianjin (1999); and ‘Prayer Beads and Brush Strokes’ in Beijing (2003). Li Xianting (affectionately called Lao Li by most of his friends) now lives and works in Tongxian on the outskirts of Beijing. Li also established Film Fund there, a nonprofit organization aiming to benefit Chinese independent films in production, promotion, communication, and academic support. 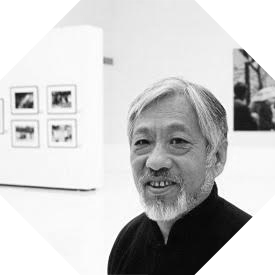 Li was granted the Prince Claus Award in honor of “his lifetime dedication to the development of contemporary art in China, for his rigorous analytical thought in difficult circumstances, and for championing individuality and freedom of spirit.” Although he decided to give up painting for editing and criticism, he does “stand up for a lot of young artists” as he intends to.